Thank you Sam’s Club for sponsoring this post! This holiday season is going to be a special one for me. My mother, who lives in the south of Japan, will be flying in to spend Thanksgiving, Christmas and New Year’s with us. I am so excited I can barely sleep at night! In just a few days she will be here in New York City and I look forward to showing her the best that the city has to offer. This will also be her first Thanksgiving, so my goal is to make it as memorable as possible! 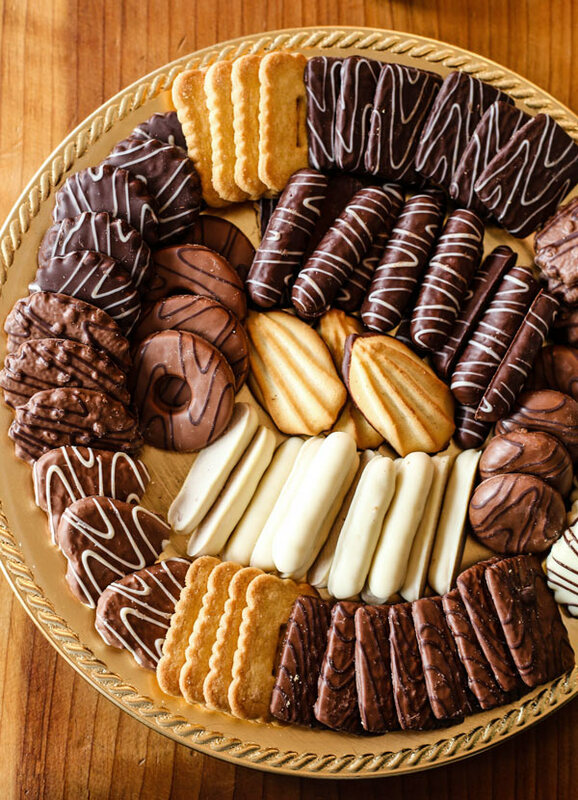 I’m going to turn our apartment into the most blinged out festive crib in Brooklyn, have an array of hors d’oeuvres to go with a traditional Thanksgiving feast, and delicious wines to pair with it. Normally, planning something this elaborate would entail traveling up and down Manhattan and spending a couple of week’s wages, but that all changed after I was invited to Sam’s Club’s private holiday event. 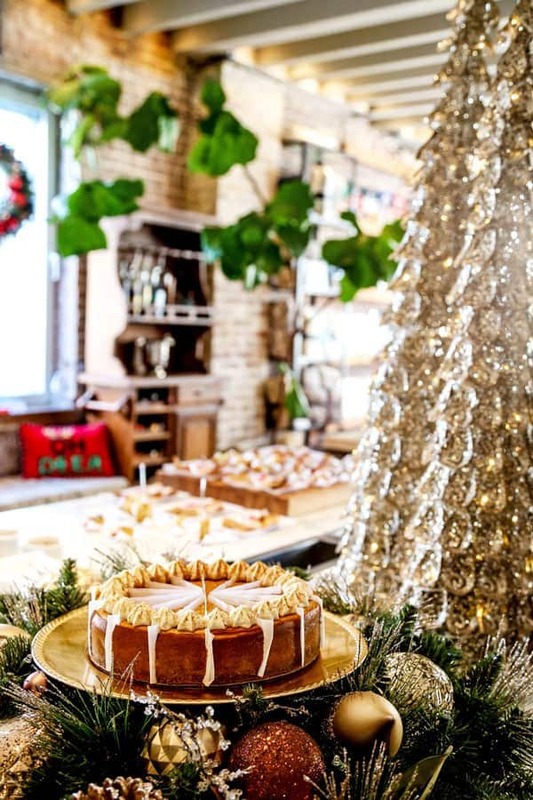 Press and a few lifestyle and food bloggers were invited to an undisclosed location to get a preview of their holiday collection. And I couldn’t believe my eyes when I stepped into what looked like a sparkly holiday winter wonderland. Wow. First of all, I didn’t know that Sam’s Club was a one stop shop for all things holiday related. But the biggest surprise was how affordable everything was! 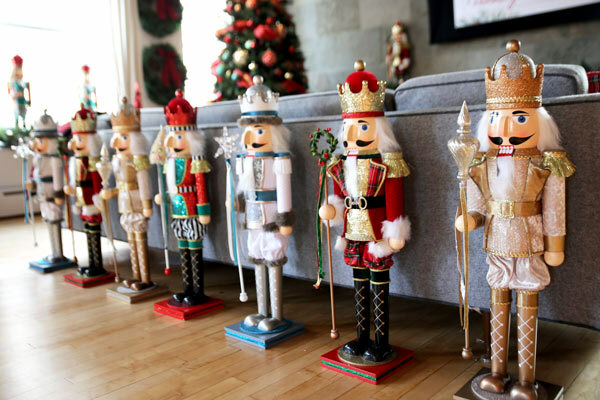 The first thing that caught my attention was the beautifully hand painted nutcracker display. At 32″ tall I expected each one of them to cost well over a hundred bucks. So you can imagine my surprise when someone told me they were only $39.98 each! 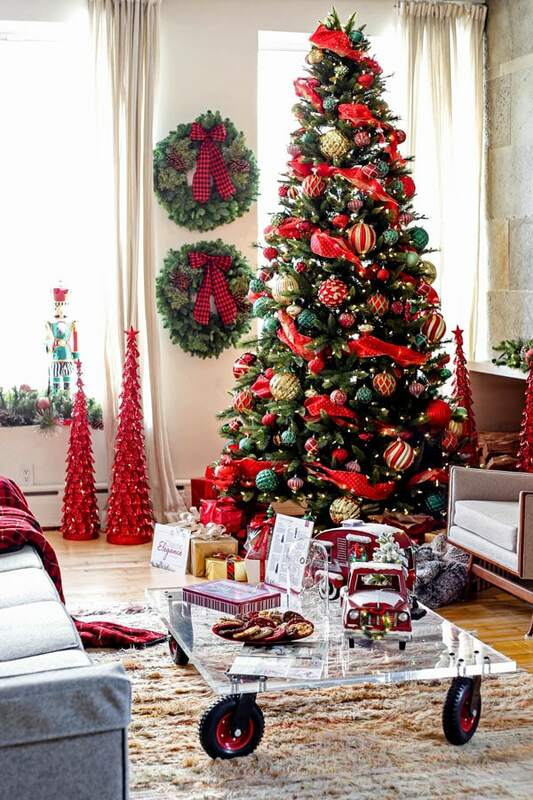 And right behind them stood a 9′ Grand Spruce Christmas tree illuminated with LED lights and adorned with ornaments of all shapes and sizes, two lush green wreaths, and the cutest vintage metal toy truck with an illuminated wreath at the front (it’s on the table in the image below.) All of these cool decorations were surprising affordable. 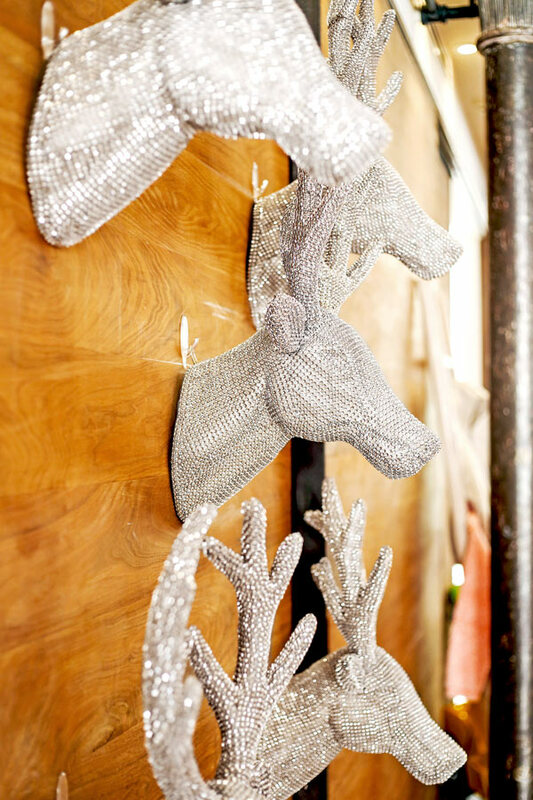 One of my favorite items, aside from the nutcrackers was the jeweled reindeer antler head – so glamorous and sophisticated! As soon as I laid eyes on them I could see them being displayed in our living room right above the fireplace. Next stop was the kitchen and dining room. 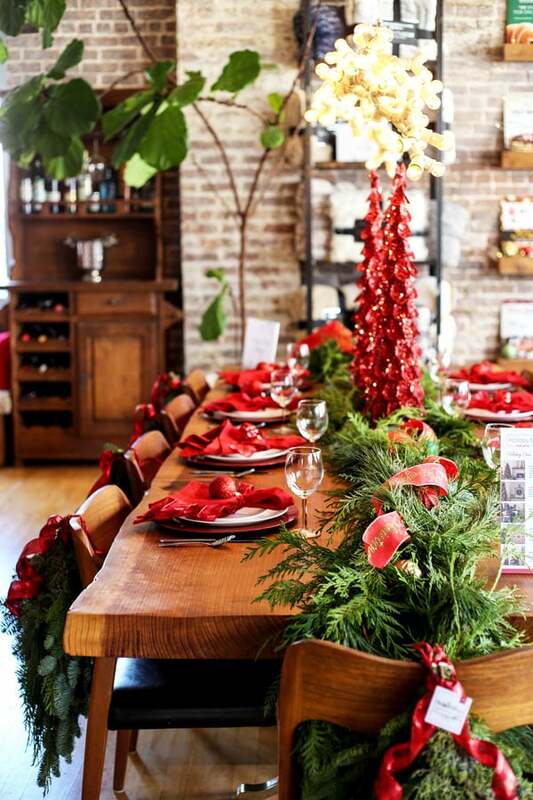 Live greenery swags, mini Christmas trees and bows paired with green wreaths and garlands. The color combination and traditional decor brought warmth and a classic elegance to the room. The kitchen was equally fabulous with its gold and silver arctic wonder theme. I instantly fell in love with the glitter cone trees that sparkle during the day and glow at night. As you may have guessed, I spent a lot of time in the kitchen taking pictures and looking at what the chef was busy cooking up. 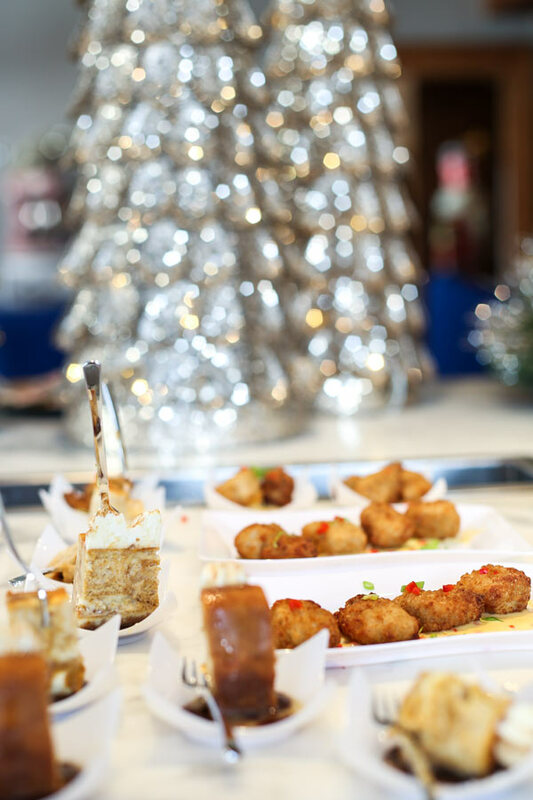 We are talking trays and trays of appetizers of all flavors and shapes. My favorites were the sausage crostini served on a crispy baguette and topped with a mix of mozzarella and parmesan – ooey gooey goodness! The Southern style chicken bites were also really yummy – lightly breaded bite size pieces of chicken flavored with a hint of dill. And they tasted so good dipped in the Member’s Mark smoky and sweet raspberry and chipotle dip. A crazy flavor combination your guests and family members will be talking about! The mini quiches were also delicious. I especially enjoyed the mini quiche Florentine as they reminded me of home with their light and airy egg filling. You can never go wrong with traditional French food. There was also crab rangoon, spanakopita which are flaky Greek pastries filled with spinach and cheese, and the classic bacon wrapped shrimp. And there were so many yummy desserts to choose from – pumpkin cheesecake with a swirl of pumpkin and fall spices, a classic rich and decadent chocolate cake, the best caramel apple crisp pie made with tart Granny Smith apples and topped with a crumbly streusel and caramel sauce, and a massive tray of cookies. 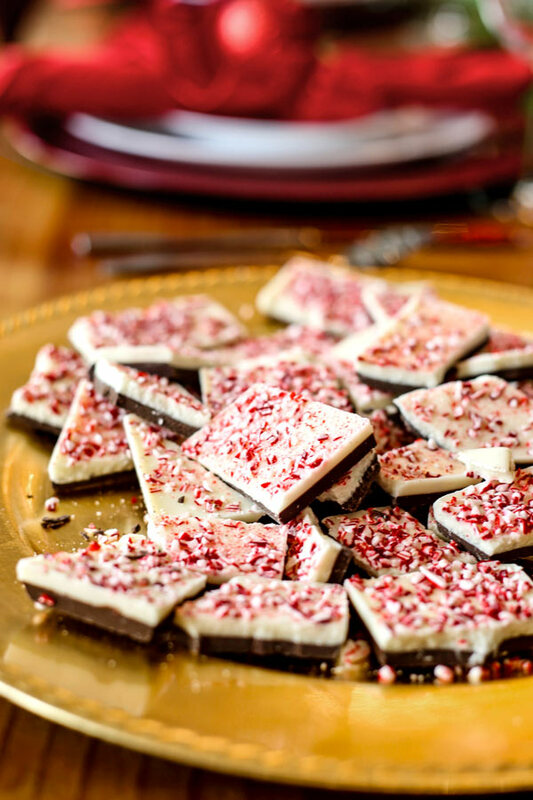 And the best peppermint bark ever! I thought the buffet was catered by some fancy New York craft services company but it turned out that this was all food that is currently sold at Sam’s Club. And there was one interesting snack I was looking forward to telling you about. See the picture below? You would think those are just regular grapes right? The green ones are cotton candy grapes that truly taste like cotton candy! And the tear-drop shaped, dark purple grapes, called moon drop grapes, are so crisp you can snap them in half. 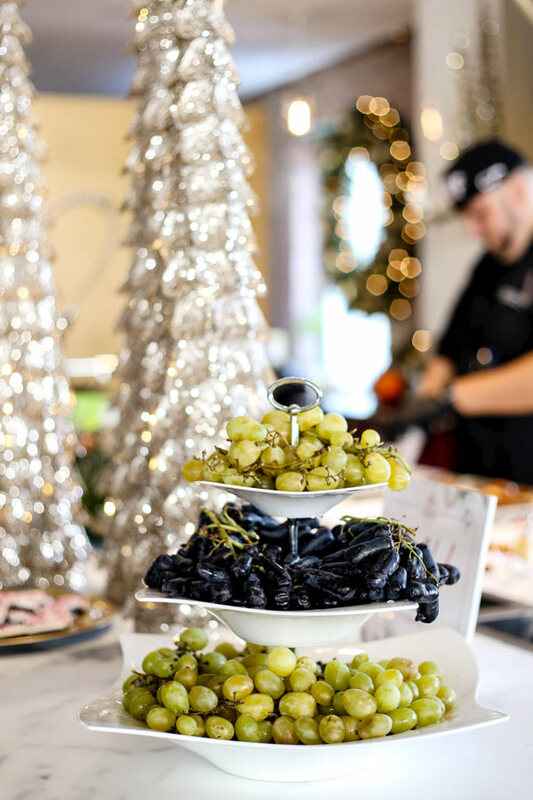 The grapes are also more concentrated in flavor than traditional red grapes, so you get a major pop of sweetness with every bite you take. The best part? Both grapes are all natural which means you can have a healthy snack that’s both naughty and nice! I spent almost two hours looking at gift ideas for both kids and adults (you have to see the Hangout POD and yellow Ferrari!) and shopping for home decorations. 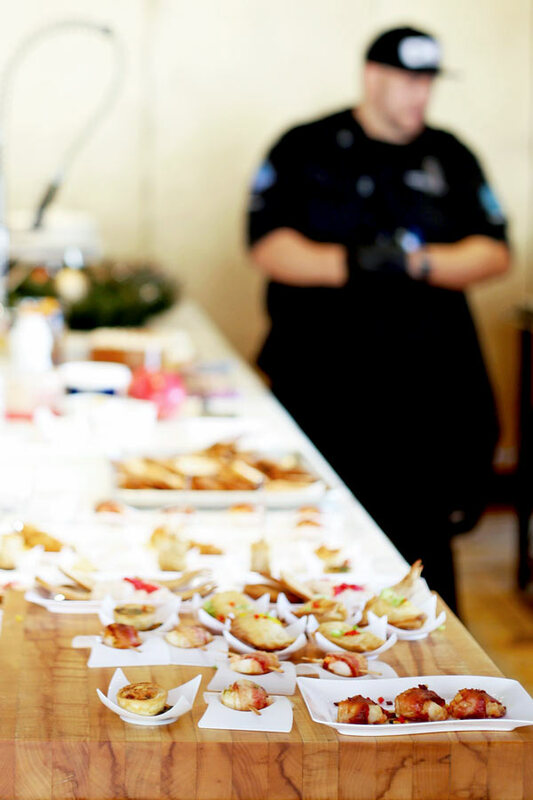 I sampled yummy wines, ate tasty cakes and bite size appetizers and felt so welcome that I could have stayed there forever. All the items you see on this post are currently available online and in store. There is a lot more, so many more items I wish I could share with you but I doubt that my pictures would do them justice. Your mind will be blown upon entering Sam’s Club’s holiday winter wonderland, I’m not kidding! 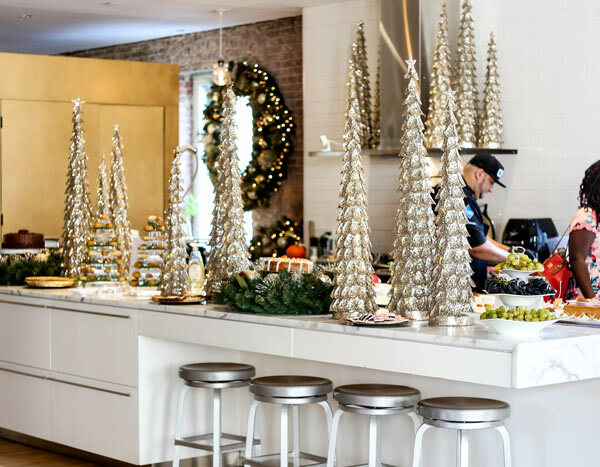 And you may just have the same eye opening moment I had – the realization that you too can afford a festive and glamorous looking home without having to spend a fortune. I LOVE YOUR receiptes .. just many various plates/bowls of yumminess .. Thank you for posting what you love and what a lot of us are loving in return.So many different / various foods that a lot of us would never imagine .. beautiful lady with beautiful foods!